An archaeological discovery in suburban Istanbul could soon force a rewrite in history books as new research has shown that the early Hittites actually ventured onto the European continent, having previously been assumed to have remained only in Asia. “Istanbul has a new historic peninsula now. The first traces of the Hurrians in Istanbul shows the importance of these excavations. This is a big discovery to reach the traces of the Hittites in Europe,”said Istanbul Provincial Culture and Tourism Director Ahmet Emre Bilgili, according to daily Radikal. “We have shed light on a dark era of Istanbul,”said Culture and Tourism Minister Ömer Celik. The traces from the Hurrian civilization “ the early Hittite era “ were found in the Küçükçekmece river basin in the western parts of the city. 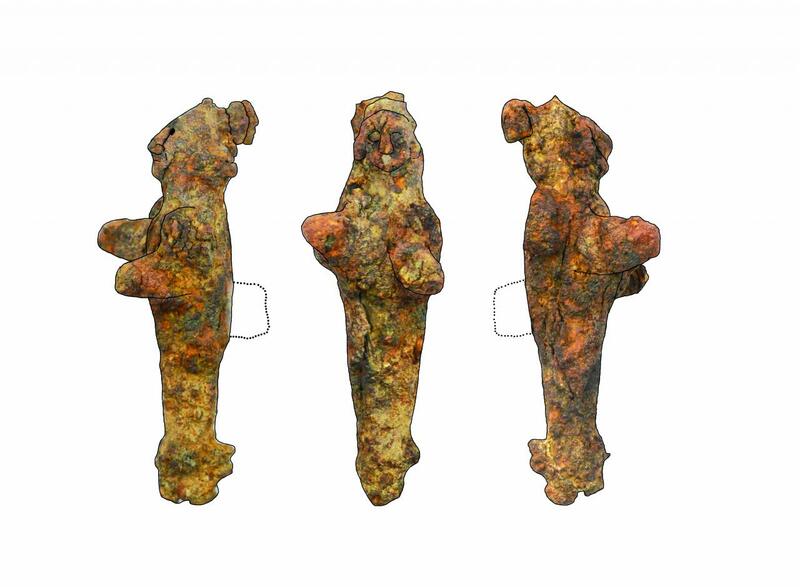 The discoveries “ iron god and goddess statues that were found in two different places” have created great excitement among researchers. “The Mesopotamian works of art date back to between the 17th and 15th centuries B.C., known as the dark era of Istanbul. We have also found bitumen as well as tin and ceramic pieces dating back to the Mesopotamian era,”said the head of the excavations, Professor Sengül Aydingün. Two Hurrian statues, bitumen, tin and ceramic pieces are from 1800 B.C. Bitumen was only used in Mesopotamia at the time and was used to make vessels waterproof. Maritime trade improved thanks to this material. Tin was more valuable than gold at the beginning of the Bronze Age. The tin in Küçükçekmece was found in cubes during excavations in the same place with the statues. This year’s excavations also revealed 301 bottles for holy water, called “Unguanterium”,as well as small bottles for perfume or pomade made between the fifth and sixth centuries B.C. 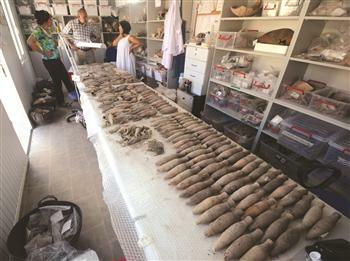 Celik said they were very pleased with the Hittite findings in Istanbul. “The two statues found in the excavations are from the Hittite era. They bring us back to 4,000 years ago. We are more hopeful for next year’s excavations. I am sure that these excavations will make a contribution to tourism. This year, we provided more than 30 million Turkish Liras for the excavations. Now we have a new page in Istanbul’s and Anatolian culture,”he said. Surface excavations around the Küçükçekmece river basin started in 2007, while a number of unknown structures in Istanbul have been unearthed over the past four years, surprising even the excavation team. The Hurrian type of goddess statue is 5.4 centimeters long and weighs 14 grams. The statue, made of iron, has undergone erosion throughout the centuries. The god statute, meanwhile, is 6.1 centimeters long but weighs only 11 grams. Such statues were used for vows and their earliest examples were found in southern Mesopotamia in 3000 B.C. Similar statues have been found in Turkey in the Alalah, Tilmen and Zincirli Oylum mounds elsewhere in Turkey. Also speaking about the findings, Istanbul Provincial Culture and Tourism Director Ahmet Emre Bilgili said they had not expected to find such groundbreaking findings when they began their research in 2007.